There are films showing all over the world as part of the Directed by Women global viewing party. Click the link – they keep adding films EVERY SINGLE DAY. But this film by Catriona McKenzie caught my eye. Mr. 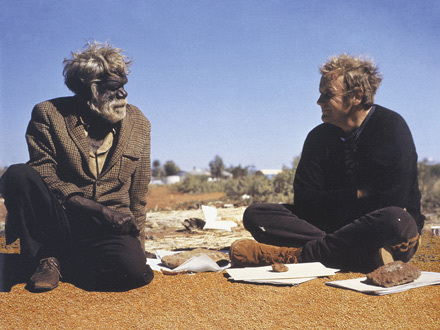 Patterns is a documentary set in the 1970s at the Aboriginal settlement of Papunya in Australia’s Western Desert, where a teacher named Geoff Bardon helped start one of the most significant art movements of the 20th century by encouraging the community to paint their traditional dot designs using western materials. It’s playing September 3rd as part of the Museum of Contemporary Art Film Series in Sydney, Australia. This entry was tagged australia, directed by women, documentary, film, party. Bookmark the permalink.